Electric bikes in simple terms are pedal bikes which are assisted by an electric motor. Electric bikes have been incredibly popular for many years in Europe and Asia. We are now seeing their popularity spread to the UK. 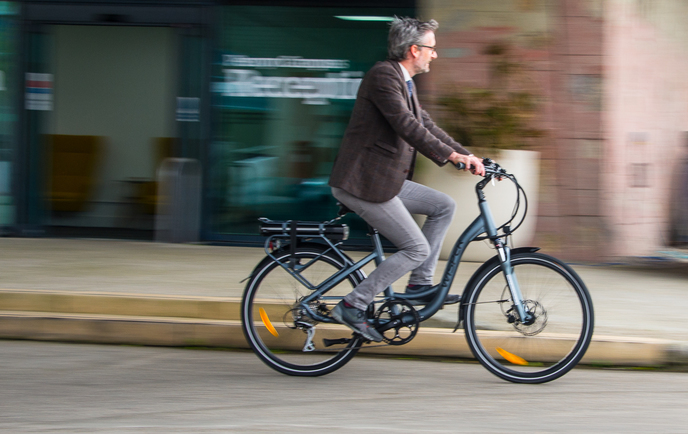 Electric bikes generally have several levels of pedal assist , making cycling as easy or hard as you want and some models even have a throttle mode, which allows the rider to 'twist and go'. Due to the legislation there is no Road Tax, MOT or insurance required. The rider also does not have to have a driving licence or wear a crash helmet. They do however need to be over 14 year old. What are the main types of electric bikes? 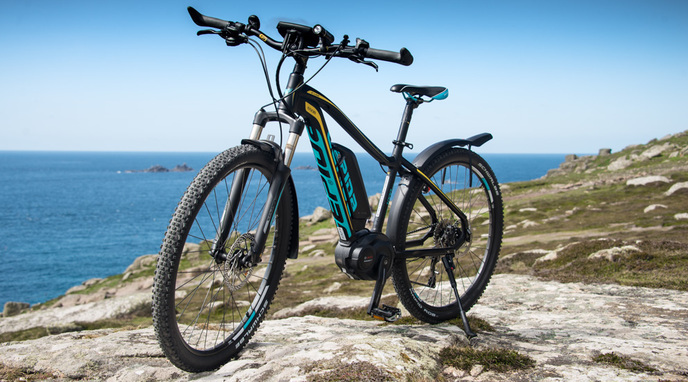 There are many styles and types of electric bikes to choose from, ranging from compact folding models to high powered carbon framed full suspension mountain bikes. We believe it is very important to choose exactly the right model for you and our choice of over 50 bikes in stock and access to over 300 different models from our six manufacturers almost guarantees that we will be able to find the right model to suit your needs and budget. Hub motor or Crank motor? Some of our bikes have the motor in the wheel, which are classed as hub motors and many of our bikes have the motor in the pedal assembly which are referred to as crank motors. We have noticed in the past two years that there is definitely a swing to customers choosing the crank motored bikes. This is down to the great improvements which have been made to the performance of crank motors in recent years and the prices of them becoming more competitive. We are also finding that many riders prefer the feel of the crank motored bikes. Having the motor centrally mounted and low down in the frame, gives it very much the feel of a non electric bike, and they are more agile and responsive than the hub motored models. Some crank motors even have less drag when the motor is turned off, making it easier and more enjoyable to ride. 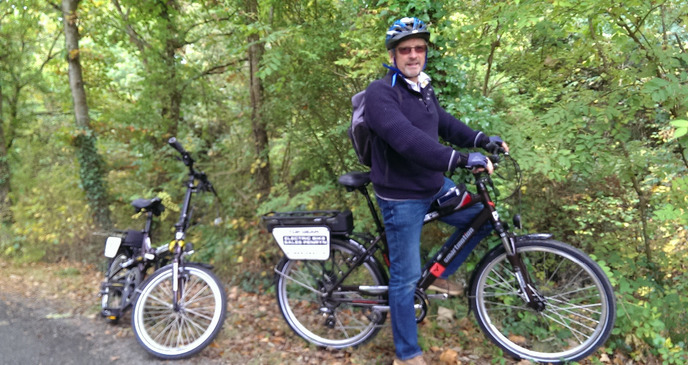 On saying that, we often say that all the electric bikes we sell do pretty much the same thing, and cover similar distances, it is just that some do it slightly better than others, are slightly more powerful, go further and have a higher specification of components fitted, but that is reflected in the price. Yes we offer many different finance packages including our most popular, where you pay only 10% deposit and nothing more for 12 months. During the 12 months you can make payments if you choose to, or pay in full at the end of the 12 months at no extra cost, or spread the balance over the following four years at a very competitive interest rate. Click here for further information. We are asked the question by almost every customer. The answer that applies to most electric bicycles is no, but you preserve the battery by pedalling and can extend the range considerably by selecting the lower levels of assistance and working slightly harder. Generally with modern battery technology ranges vary from 20 to 60 miles depending on the size of the battery, it is more than enough for most people. Bear in mind you could always take the charger with you and find a friendly pub or coffee shop and put the battery on charge for an hour. A large percentage of power goes back in during the first hour of charging. Again this varies, but a battery that is used correctly should last around 1000 charges, which could equate to around 40000+ miles!! Bear in mind that if the battery runs out, you can always pedal! It is not like running out of petrol. On some of the models we sell, you can either pedal or use the throttle. Most people mainly use the pedal assist mode, which makes pedalling much easier than a non electric bike, but in certain circumstances for some people, the option to use the twist throttle is invaluable. With the new legslation from January 2016, the throttle will only take you to 4 mph without pedalling. However if you rotate the pedals slowly, the throttle will then operate up to the 15.5mph. You may need to put more effort in to help on steep hills. On the crank motored bikes we sell, a throttle is not an option, you purely have pedal assist, which does exactly as it says. It makes pedalling much easier than a non electric bike and you have a choice of power levels which you can change as you ride a long. This gives you the option to have as much or as little asistance as you would like, which makes bike riding much more enjoyable. With the modern crank motored bikes or hub motors with a torque sensor, the power is delivered as soon as you put pressure on the pedals rather than having to rotate the pedals once, prior to the motor kicking in, which is the case on most hub motored bikes. This means that starting off, especially on an incline is much easier than it was on earlier more basic models. How much assistance do I get? A popular misconception with electric bikes is that they are too easy to use. This used to be the case when there was only one power level. However on most modern quality bikes, the rider has the choice of how much or how little assistance they require, with often up to 5 power settings to choose from. On level ground or gentle slopes, the power can be turned down but at the touch of a button increased, as more assistance is required. This not only enables the rider to choose how easy or hard they would like to work, it also extends the range of the battery. This ability to adjust the amount of assistance suits the majority of electric bike riders who still want to cycle, but do not want to get off or struggle when it comes to the hills. With the power assistance of an electric bike they are still able to get the healthy exercise they would from riding a conventional bike. 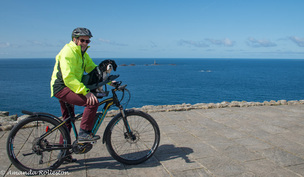 The power assistance of an electric bike does not take away any of the enjoyment experienced with bike riding, in fact it actually makes bike riding more fun as even the hills become enjoyable! To gain exemption from road tax, road insurance, MOT tests, vehicle registration, the requirement of a driving licence and wearing a motorcycle helmet, the speed under power is restricted to 15 miles per hour. They can of course be cycled beyond this speed and as your speed then drops back down to 15mph, the power will cut back in. Can you deliver the bike to my house? 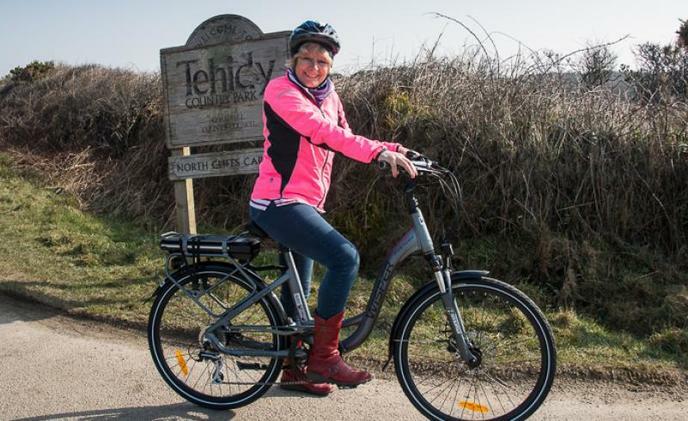 We are happy to deliver bikes free of charge within a 40 mile radius of Penryn. This includes Bodmin, Wadebridge, St Austell, Padstow, Newquay, Falmouth, Redruth, Cambourne, Helston, Penzance, St Ives and Hayle. We can deliver further afield for a nominal fee. Other than charging the batteries at a cost of less than 10 pence per full charge, there are no other significant running costs. You should carry out basic maintenance as you would with a normal pedal cycle; however the electronic parts of the bikes are designed to be trouble and maintenance free. We suggest an annual bike service which costs around £40 and on some models, you have the option of having Manufacturers updates installed on your bike and a diagnostic check carried out at the same time as the service. That may sound obvious, but it's the primary advantage. An electric bike effectively reduces the gradient of hills, increasing your average speed and eliminating the 'groan' factor when a gradient comes into view. Provided you supply a reasonable amount of effort, you can expect to climb hills of 1 in 10 (10%) on an electric bike with ease, and clear a maximum gradient of 1 in 7 (14%), or much more. In hilly country, the effect is nothing short of miraculous. Another bugbear for a cyclist is fighting against a head wind. This can be just as hard as climbing a steep hill, but with the beauty of motor assistance, headwinds are no longer a problem. Surely a conventional bike will keep you fitter? That, of course, depends on how much - if at all - you use it. Research has found that only 16% of conventional bikes are used regularly. By contrast, a recent survey of electric bicycle owners reveals that 33% ride their bike at least once a day and 81% use the bike at least once a week. 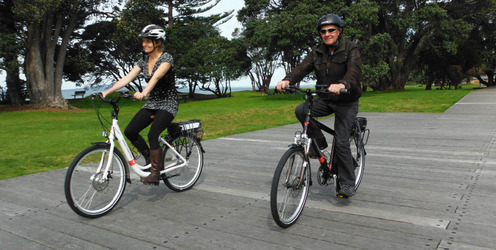 The figures confirm our experience that an electric bike typically gets used much more often than a conventional bike. Because riding an electric bike is a great deal more enjoyable in hilly country, into strong winds, or when carrying heavy loads, users tend to make better use of them. The motor provides up to half the effort, but more regular use means more exercise for the rider. Sweat may not be a serious issue when you're out for a leisure ride, but it's more important if you're cycling to work. Although some employers are rather grudgingly providing showers and other facilities for cyclists, the great majority have no intention of doing so. An electric bike eliminates the problem at source. In hot weather, it's possible to maintain a normal schedule by transferring a bit more load to the electric motor. In colder weather - or if you feel in need of exercise educe the level of assistance, or you can even turn the motor off. 6. Motorise, but no Red Tape! Are electric bikes genuinely sustainable?